In karate training there are body movements performed solo, this is called Kata. You can see a similar practise in the dance studio where body form (Kata means form) is repeated and repeated till not just mentally understood but physically accepted which allows the dancer to perform at their best. There are many other sports and arts that do the same. 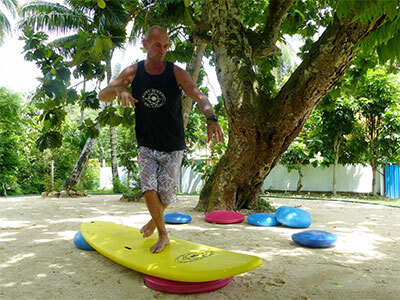 The Balance Board Sessions are something that everyone loves but will also have so much relevance for your surfing progression. 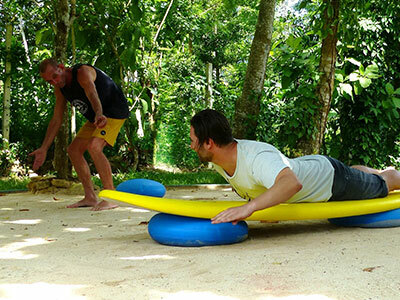 Over many years we have developed an amazing dry land coaching system that simulates your exact body movements used in surfing. At all levels we’ve had incredible success with this system. 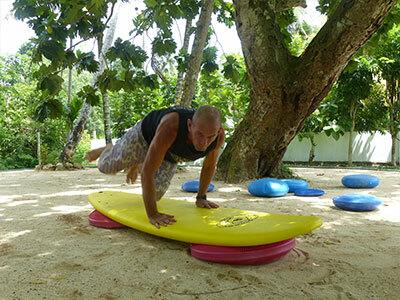 Allowing thinking to take the back seat and relying on muscle memory is a real goal in sport and it ties in so much with the Headspace mindfulness and focus training you will complete with us here. 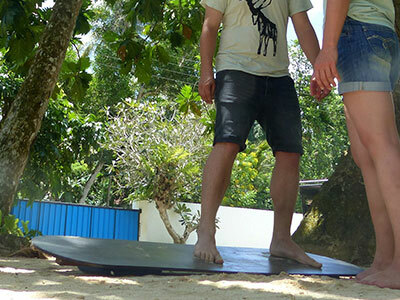 So that’s what the Balance Board Sessions are. 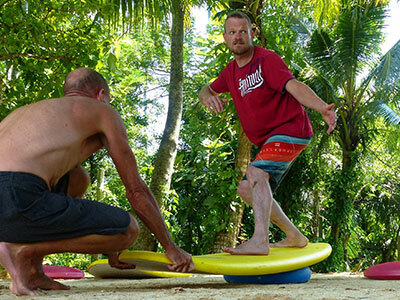 We built a beach under a magnificent old Bread Fruit tree and in the cool shade of the trees we experience the fun of using balance boards and balance cushions. 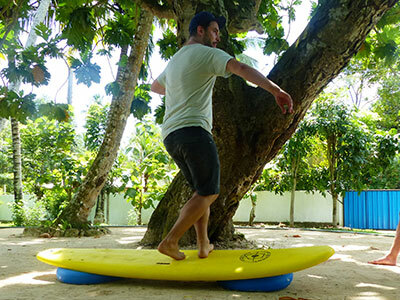 Fully simulating surfing movements from the jump up and bottom turn, to an off the lip and to the longboard cross step and onwards, we know this new and exciting way of coaching you works. Finding your inner balance is the key.